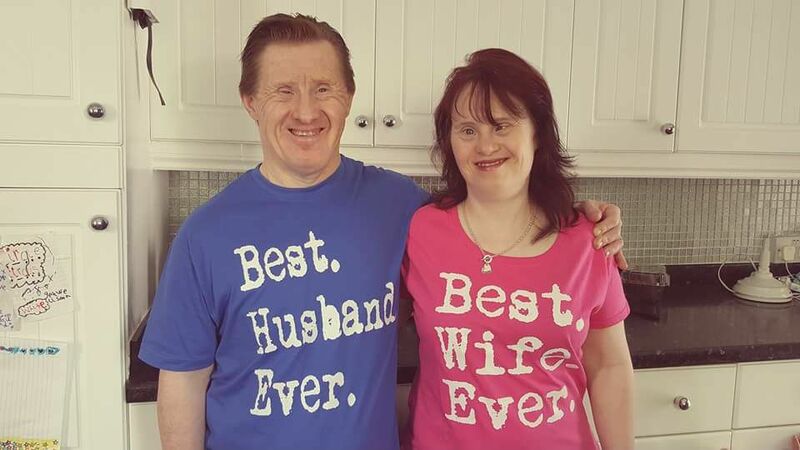 Maryanne and Tommy Pilling are celebrating their 22nd wedding anniversary this year, and what makes this couple so special is that they’ve had to overcome many challenges — and even criticism — over the years, as they both have Down syndrome. The duo, who first met at a local training center for people with learning difficulties, had been dating for about 18 months when Tommy asked Maryanne to marry him with a toy ring from a vending machine after her mother gave him her blessing. A few months later, in July 1995, the couple tied the knot in a church ceremony in Essex surrounded by supportive friends and family. But not everyone was onboard with the couple’s decision to wed two decades ago. Newman says her mother received a lot of “flak” at the time for letting them get married. But they’ve proven their critics wrong. And 22 years later, Tommy, 59, and Maryanne, 45, say their relationship is stronger than ever. Newman set up a Facebook page for her sister and brother-in-law, and their love story has earned them thousands of fans all over the world. The couple live independently in Essex with Maryanne’s mother living next door and her sister and her family just a few houses down.